Free online information and research services for investors, policy makers, researchers and practitioners specialized in Microfinance and Small Enterprise Impact investments in emerging markets. A daily selection of key microfinance, impact investments and small enterprise financing articles to keep you informed on the most recent industry developments. 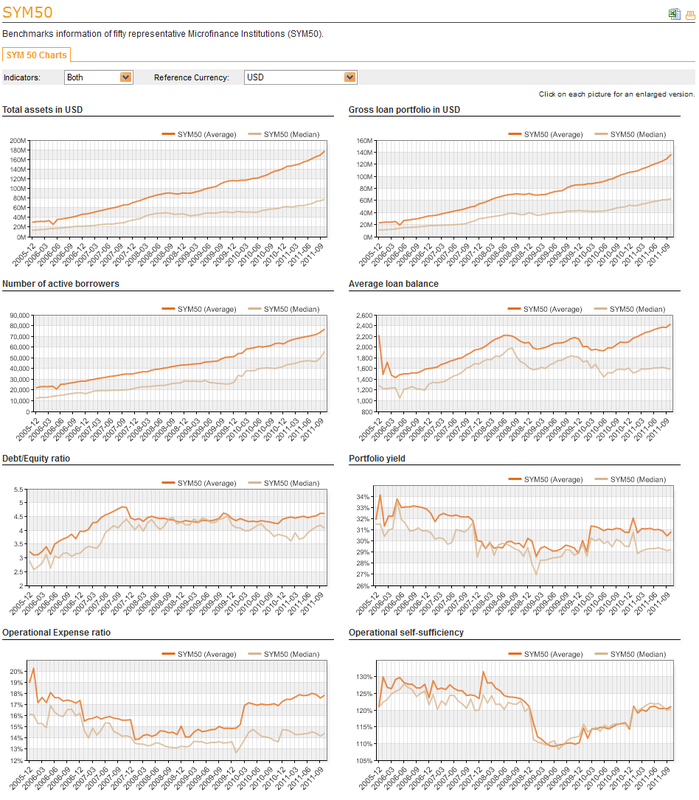 Its accessible archives contain information from over 2,000 market news dating back to 2005. The Directory gives you access to detailed and updated contact information for more than 3,000 practitioners, investments vehicles, fund managers, financial institutions, small enterprise banks and development agencies worldwide. 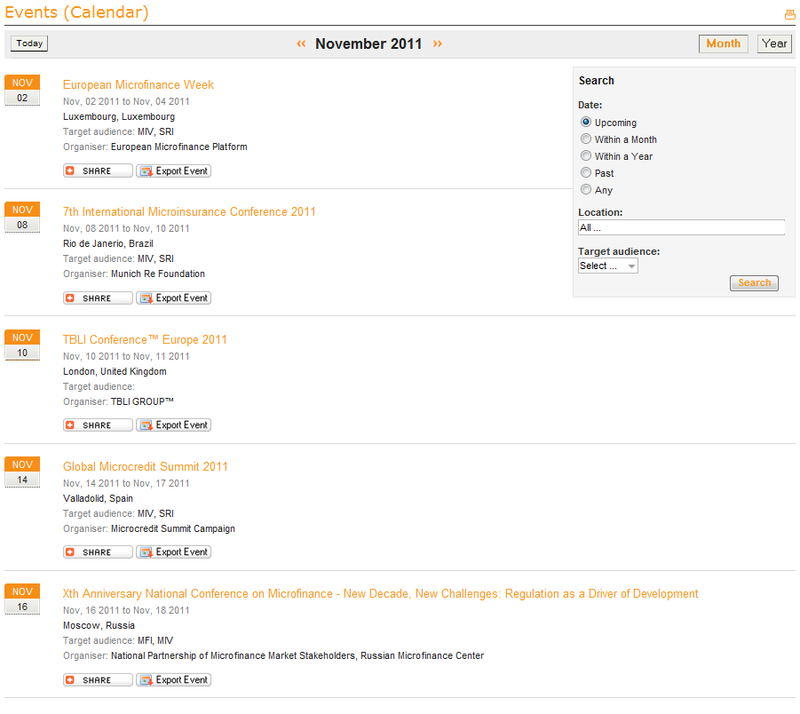 The Events section chronologically lists upcoming microfinance events, conferences and seminars worldwide. The listed events, organized by leading industry experts, are selected to target the needs of socially responsible investors, microfinance analysts, professionals and financial institutions. 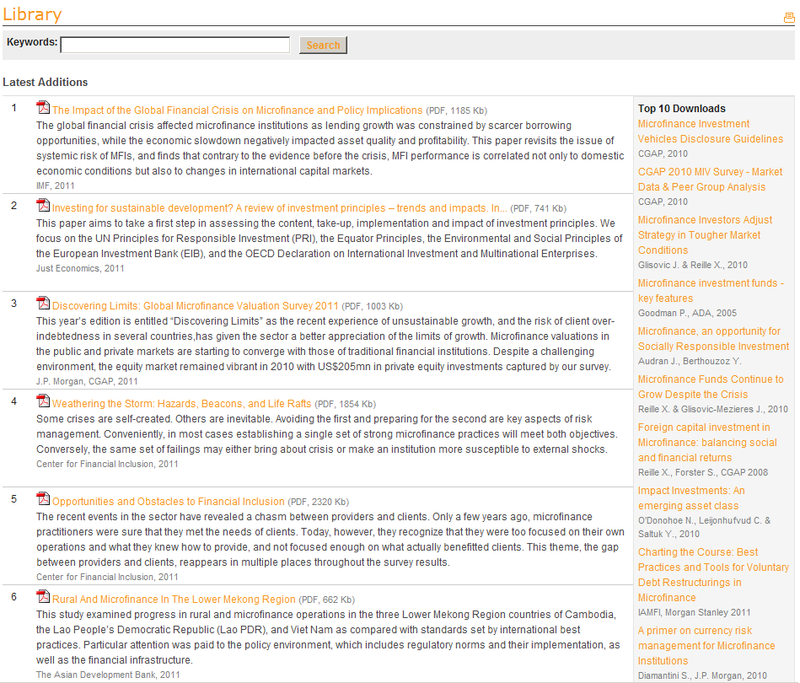 The Library includes a selection of more than 250 industry publications and research papers for an in-depth review of global microfinance and impact markets. A special section dedicated to Symbiotics papers includes up-to-date analyses of the latest microfinance, emerging markets and small enterprise investment trends. 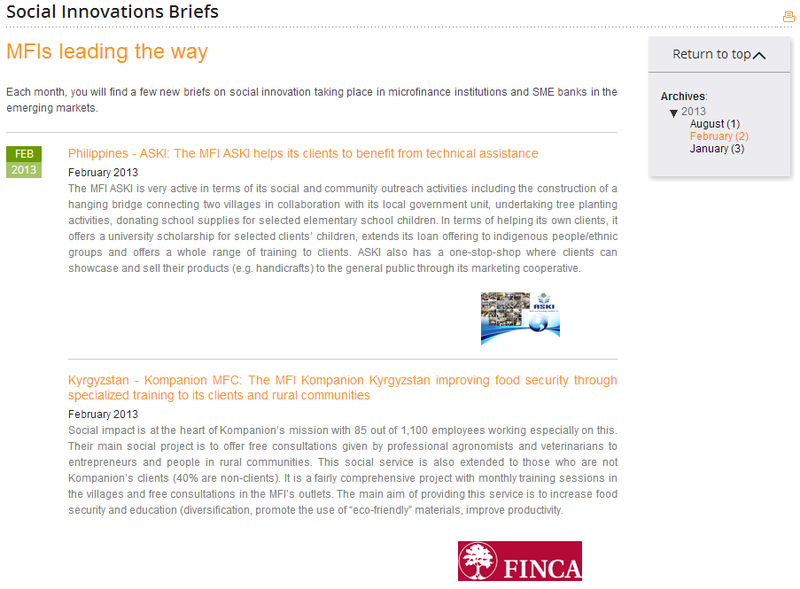 This new section provides short accounts of Microfinance Institutions that are making social innovation an integral part of their business by staying attentive to the needs of their local communities and offering special types of loans, helping children or people locally who need it the most, and working to strengthen their own corporate social responsibility by improving their workplaces and/or staff’s well-being. The SYM50 is a microfinance institutions’ benchmark compiling 10 key indicators from 50 MFIs, largely composed of second tier institutions, with whom Symbiotics works most frequently. This benchmark is adjusted on a quarterly basis by the Symbiotics Research & Advisory team to reflect Symbiotics’ outstanding investment volumes and geographical allocation. 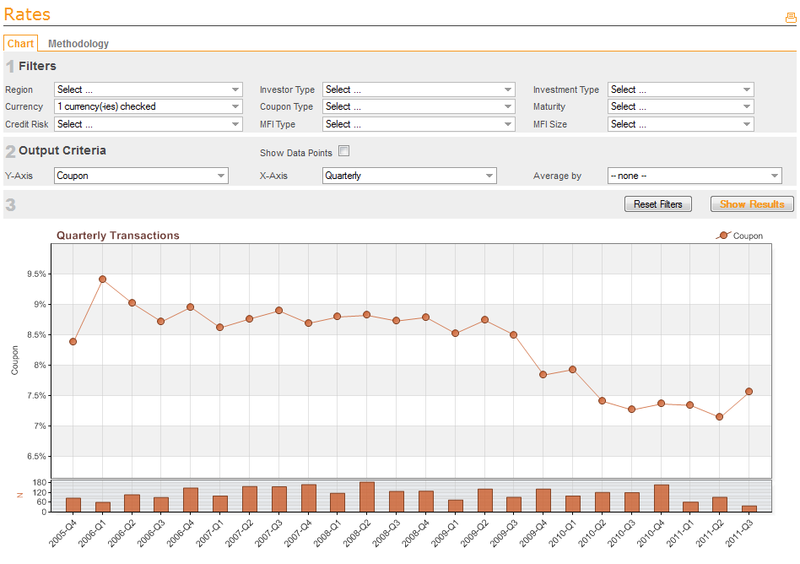 The Market Rates is a pricing benchmark for fixed-income microfinance transactions. They are composed of senior unsecured loans to investment grade financial institutions denominated in US-Dollars or Euros with maturities of 12 to 36 months. 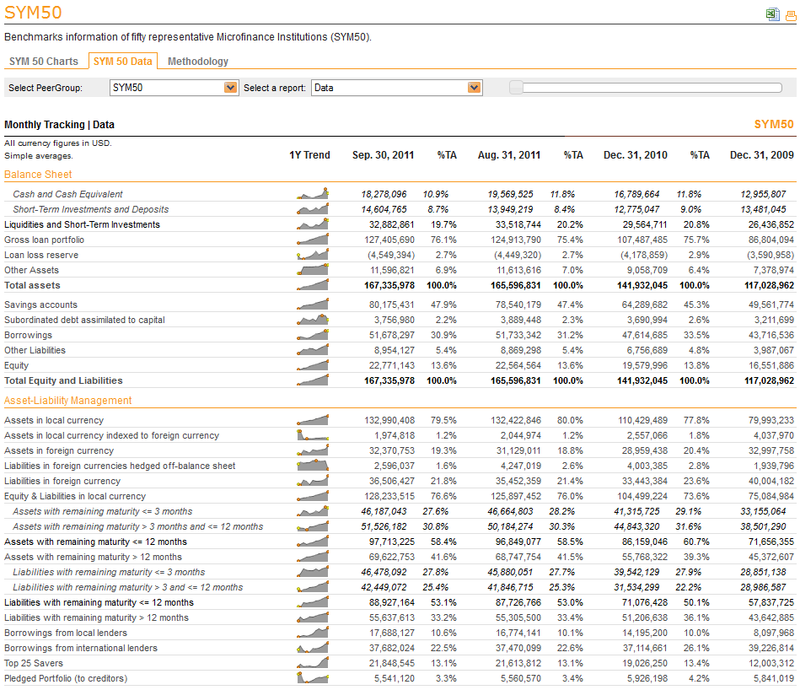 An underlying sample of more than 153 institutions and more than 5,000 data points, collected since 2005 and updated monthly, provides a comprehensive reference for debt investments in microfinance. 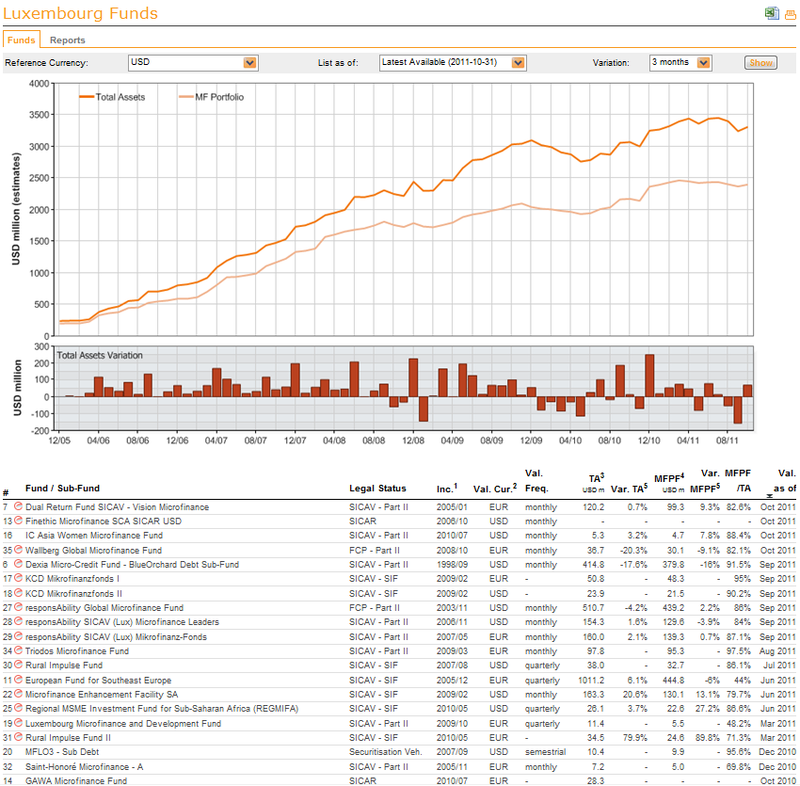 This section includes the Global List of Microfinance Funds, an up-to-date catalogue of all the specialized funds active in microfinance, and the Luxemburg List, which provides a focus on the funds incorporated in Luxemburg, with a monthly assessment of the asset size and microfinance portfolio. 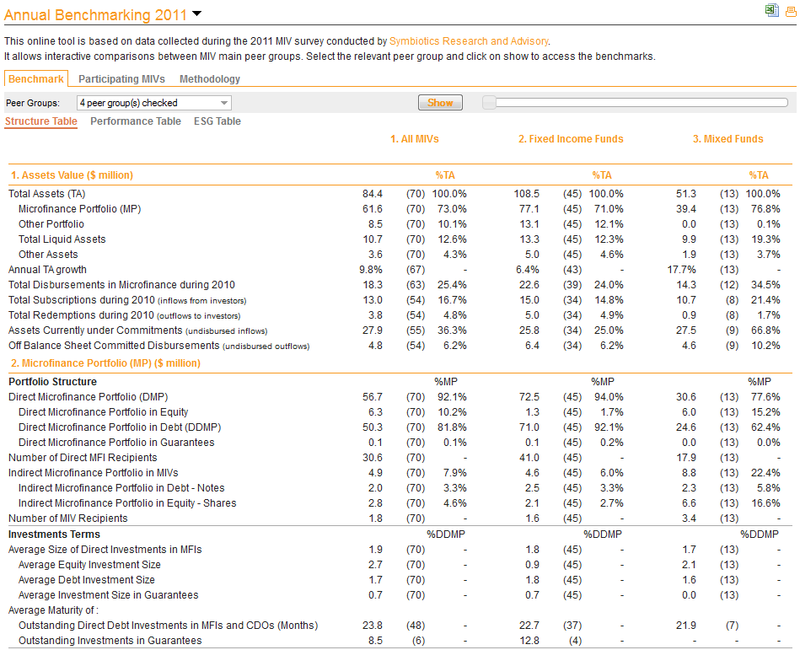 Notably, Luxemburg is one of the main microfinance investments hubs. It represents about 39% of the estimated worldwide microfinance market and provides a good proxy for the evolution of microfinance investments. Symbiotics analysts compile two indexes: one to track the microfinance debt market and the other the microfinance equity market. 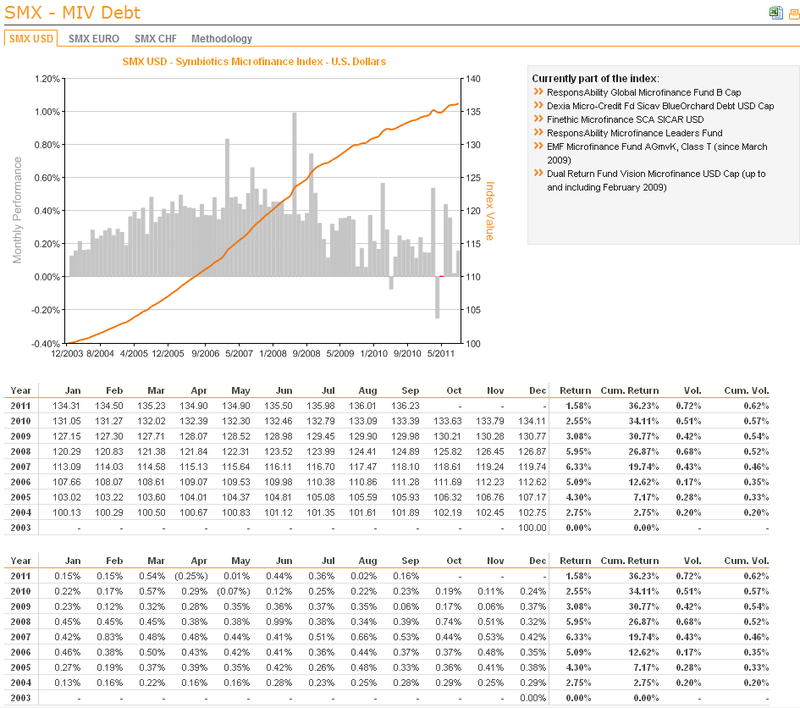 The SMX – MIV Debt are in-house indexes which track, on a monthly basis, the NAV of a selection of funds with a majority of assets invested in fixed-income instruments. 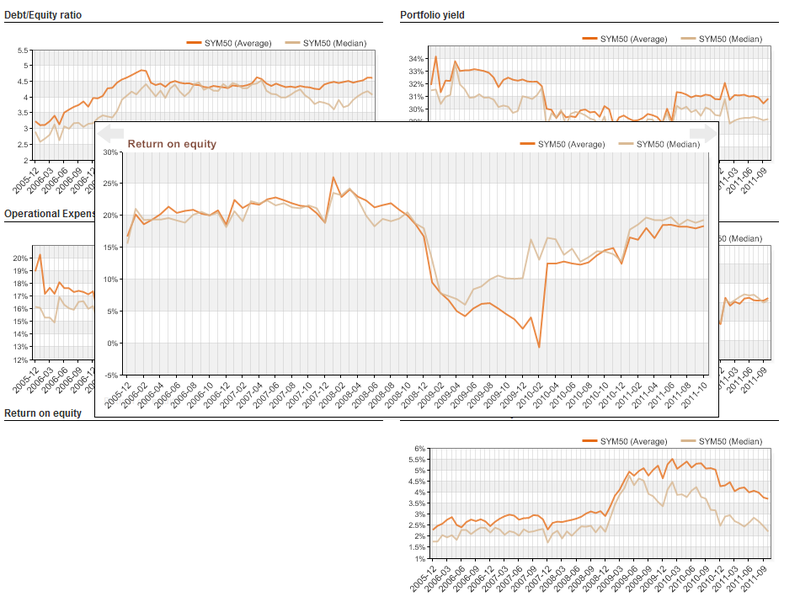 The funds are equally weighted and have been providing a reliable benchmark for the evaluation of the monthly performance of funds in USD, EUR and CHF since 2004.The SMX – MFI Equity indexes track the daily value of a selection of listed microfinance institutions’ stock prices in US Dollars and local currency. Symbiotics Research analysts produce an annual global MIV Survey, initially in collaboration with the Consultative Group to Assist the Poor (CGAP) from 2006 to 2009, and then on their own starting in 2010 – collecting data from more than 70 specialized microfinance investment vehicles representing more than 85% of the market. Registration to the Research Account is free and will only take you few minutes. After completing the fields below, you will receive an e-mail, please click on the link to complete your registration. You will need to use your email address and password to login to your account. By checking this box, you accept receipt of Symbiotics Market highlights by email.